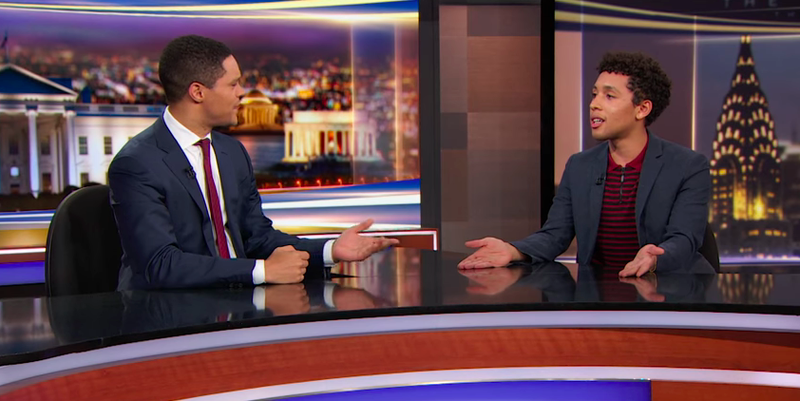 The Daily Show host Trevor Noah introduced its latest Senior Youth Correspondent on Thursday night, Jaboukie Young-White, and immediately blew it, just like an old person. Referring to the upcoming, democracy-in-the-balance midterm elections, Noah, talking about the vital role of young voters in determining whether a greying cabal of racist greedheads will continue to abet the crotchety right-wing takeover of the American experiment at the whim of a Russian asset reality show host, tried to ingratiate himself with his new, cool young colleague by invoking the chummy “we.” Big mistake, as Young-White, calling the born in 1984 Noah a “vintage millennial,” referred to himself (b. 1994) and his peers as “young-young,” and launched his Daily Show tenure by explaining all the reasons why the young-young are less likely to vote.